OIST has a dedicated proofreading service to eliminate errors in English. You can send any document you're working on to proofreading@oist.jp for assistance. All OIST documents, whether internal or external, must meet a high standard of written English. Errors can impact the integrity of a single employee and an entire organization. The proofreading service provided here at OIST can improve the quality, accuracy, and effectiveness of all your written communication, allowing you to avoid embarrassing errors. Proofreaders take delight in seeking out those small errors which would otherwise go unnoticed during the writing process. 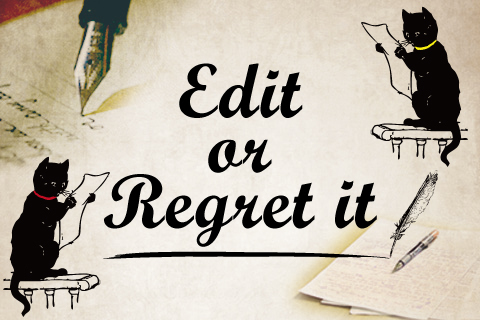 Unfortunately, most errors eventually do get noticed by someone, but at this point it is usually too late to edit. To avoid this, proofreaders can meticulously review your documents to correct surface errors. Close attention to detail will ensure your document is clear, consistent, and precise throughout. These improvements can be made across a range of different media for your business communications: reports and presentations, website content, social media posts, advertisements, posters, letters, minutes, and email. If you would like to learn more about English grammar, please visit the Oxford English Living Dictionary's online grammar guide. For more information about the rules of English punctuation, please visit The Punctuation Guide. Documents will be returned quickly and, when possible, within the requested timeframe. Most importantly, every document received is treated as 100% confidential. Please don’t hesitate to contact us with any of your requirements. Tina Mularski established OIST’s proofreading service in March 2016 after coming to OIST from the UK. Now she splits her time between the CPR Division and the President’s Office. She is a member of the SfEP (Society for Editors & Proofreaders), which allows her to continuously improve her editing skills. She thoroughly enjoys working in OIST’s international environment and spends most of her time off enjoying various athletic pursuits around this beautiful island. Virginia Houk, M.A., is the newest member of the proofreading team, coming to OIST after living in both the US and Canada. She studied English rhetoric and literature, as well as creative writing, while in university. She has experience working for a variety of academic and commercial publishers, and she also spent a few years teaching university English classes, so she is quite skilled with a red pen. When she’s not proofreading, you will usually find her practicing her violin or chasing after her wild, two-year-old daughter. Feel free to stop by her desk in the CPR Division office between 9am and 1pm if you’d like to discuss your writing in person.